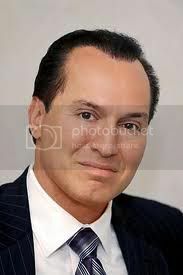 Following news that on February 1, 2011 Mayor Michael Bloomberg signed Int. 425A creating New York City Local Law 10/2011, the Dog Federation of New York calls upon dog and animal lovers everywhere to join DFNY in urging the City Council to set the ordinance aside in its entirety. Backed by some of the most extreme animal rights organizations in the country, Councilman Peter Vallone Jr.'s poorly considered, poorly drafted ordinance appears to criminalize a number of standard, ordinary practices exercised daily by caring and responsible pet and animal owners. Due to the vague language of the law, visitors and city residents alike will be unable to determine if the many prohibitions and limitations apply to them. Among the new law's many flaws, it appears that families bringing their dog to the park for a picnic are prohibited from tying the dog's leash to a bench or picnic table while they enjoy their meal. 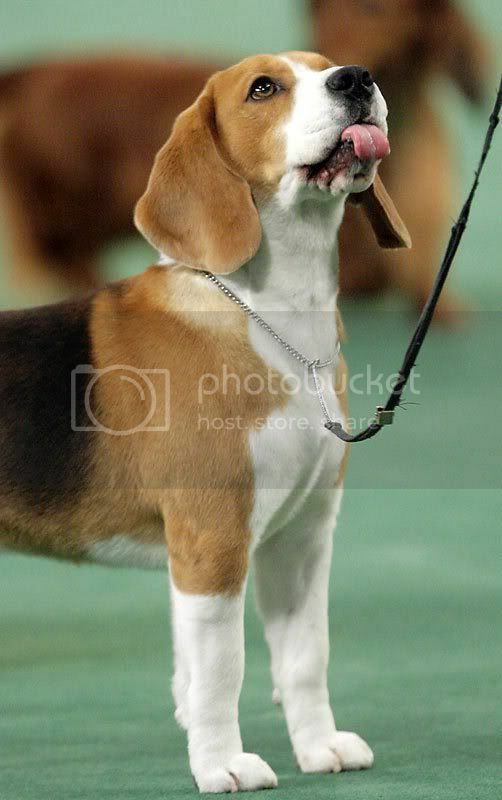 Because the language of the new law absolutely prohibits the use of "choke" collars for dogs under any circumstances, it jeopardizes the many purebred dog shows which take place each year in New York City, including the Westminster Kennel Club show at Madison Square Garden. Limitations on permissible restraint methods also threaten popular equestrian events, such as the Lipizzaner Stallion shows which also take place at Madison Square Garden. Because the restrictions, limitations and prohibitions of standard and humane practices apply to all "animals", DFNY fears that circuses, rodeos -- possibly even the City's renowned Bronx Zoo -- may all be negatively impacted. Local law 10/2011 empowers a host of unauthorized and unqualified individuals to enforce its prohibitions, which may entangle the city in expensive, unnecessary lawsuits. Most bizarrely of all, the convoluted wording of the law may be interpreted as a prohibition against walking a leashed dog beyond the perimeters of the owner's property. "pit bulls" from the City of New York. PeTA, the radical animal rights organization that calls mothers who serve milk to their children "abusive" and whose members appeared at a Westminster Kennel Club show dressed in the white robes of the Ku Klux Klan, backed both Vallone's "pit bull" proposal and the new law, and testified in its favor. Another key supporter was the Humane Society of the United States, an organization now under investigation by the Internal Revenue Service for excessive lobbying practices. A "humane" organization in name only, in 2008 HSUS expended less than one half of 1% of its budget on the hands-on care of animals in need. Patrick Kwan of HSUS testified in favor of the Councilman Vallone's proposal. The best research available on the subject of tethering comes from Cornell University, and indicates that the proper tethering of dogs is a humane and responsible method of restraint. Neither the American Veterinary Medicine Association (AVMA) nor the Centers for Disease Control (CDC) support anti-tethering initiatives. DFNY urges dog and animal owners to exercise caution and adequate supervision, regardless of the restraint method they choose. Int. 425 was hastily amended in the Committee on Health only three hours before it was passed by the City Council, giving the public no opportunity to review the new text. It appears that no representatives for responsible pet and animal owners and other stakeholders were notified or consulted during the drafting of the proposal. In reading the transcript of the minutes of the January 18th meeting during which this measure was passed, it is obvious from the comments of the council members that the proponents of this local law were somewhat disingenuous in their explanation of its effects and ramifications to their colleagues. In these difficult times, in which so many New Yorkers struggle to keep their jobs and feed their families, the Dog Federation of New York deeply laments the waste of public funding involved in the consideration of Councilman Vallone's flawed proposal. The potential loss to the local economy if so many dog and other animal shows and events leave New York City is huge. 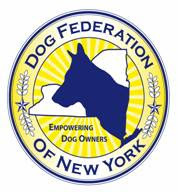 The members of the Dog Federation of New York believe that all responsible owners of animals share a concern for the well being of pets, work companions and livestock, and we support legislation and legislators that further the goals of animal welfare advocacy. However, by unreasonably restricting humane restraint through irresponsible language, it is clear that New York City's new local law will do far more harm than good. We encourage caring pet and animal owners everywhere to contact the members of the New York City Council and Mayor Bloomberg to express their shock and deep concern, and to advocate a repeal of Local Law 10/2011 in its entirety. UPDATE March 2, 2011: Councilman Vallone recently addressed one of DFNY's criticisms, although his comments gravely concern us. DFNY questions his understanding of the new law. Our members prepared a more detailed analysis of New York City's deeply flawed new law. DFNY continues to urge NYC residents as well as dog and animal lovers everywhere to join us in asking the New York City Council to repeal 10/2011 in its entirety.